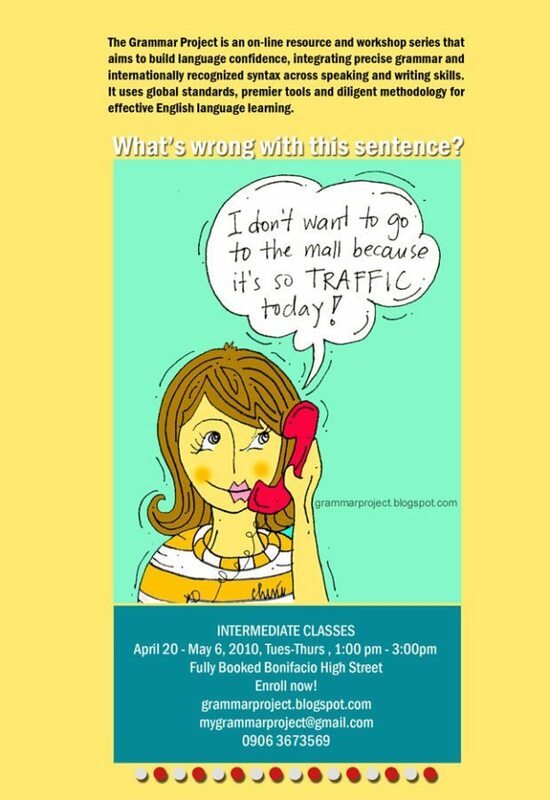 The Grammar Project is a workshop series that aims to build language confidence by integrating precise grammar and internationally recognized syntax across speaking and writing skills. It uses global standards, premier tools and diligent methodology for effective English language learning. steve carell and tina fey?! Thanks for visiting my blog. I added your links to my blog roll.